Before you launch any sort of business, it is essential that you calculate how much money you are going to need during those first crucial weeks and months. So many businesses struggle because they are not properly equipped to get through this initial stage until they are properly on their feet. Of course, it may be possible to acquire more funding through sources like smallbusinessloans.co, but you won’t be able to keep doing this forever. Even if you can’t forecast exactly how much you are going to spend launching your business in the first place, you can at least have the best estimate possible. 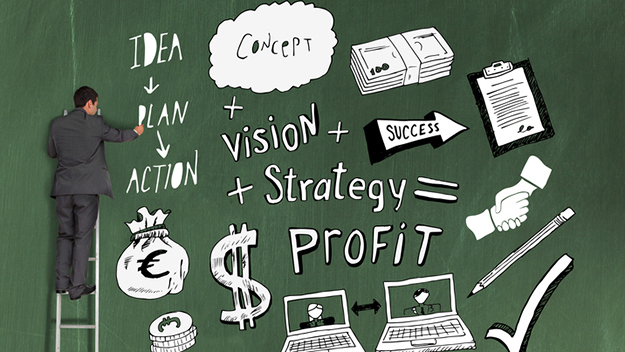 Here are the three keys steps involved in getting the best idea of your startup costs. The first thing that you need to work out is how much you will be spending on your business assets. If you are starting a physical business rather than an online one, some of the things you may need include items like furniture, equipment, and the cost of the actual premises itself. Perhaps you will be making and selling products rather than offering services, in which case you will need to list everything involved in making and selling your products. If you are starting an internet business, your asset list will probably be shorter, but there are still some vital things that you need. For every item on the list, make an estimate of what the cost will be, trying to be as accurate as you can. For example, you could contact real estate agents to find out about prices of office space. The internet is obviously extremely useful in helping you to work out your asset spending. There are plenty of things which you purchase when you are starting a business which don’t count as assets. For example, while it may seem like computers and office equipment should be on the asset list, they can be deducted from your taxable income as expenses. Other common expenses include the amount that you spend building your website, renovating your office space, and paying your employees. Your startup costs will be a combination of your assets and your expenses. There are a number of different theories involved in working out how much you need to get started. Remember, it is always better to overestimate rather than underestimate. Some people say that it is best to cover six months worth of expenses while others think that you need to be more conservative and cover a year. You also need to come up with sales forecasts for the months ahead but don’t bind them to yourself too tightly as you may find out that you don’t sell as much as you had initially thought. Don’t fall into the trap that causes many startups to fail, and make sure that you have enough money to give you the best possible start in business.